How can you go green at work? Need Drinking Water? There’s an App for That! “Going green” is no longer just a trend in today’s society. Rather than being a catch phrase or a way to get people to think of recycling or creating less waste, companies and the general population tend to be doing their best to be eco-friendly and save the environment as much as possible as a regular way of life. Making smarter choices about how we live and taking both large and small steps to improve the world are becoming more and more important to people. This doesn’t just apply to home life - businesses and their offices have a big impact on the environment and many workplaces are working to be more sustainable. Going green in the office isn’t too difficult - there are plenty of ways to become more eco-friendly at work without interrupting your everyday work life. For the most part, companies use computers, emails and powerpoint presentations as a huge way to communicate. Email is a great way to communicate and to be greener at work, however that only works as long as you’re not actually printing out the emails. Powerpoints are the same way - by emailing a presentation to coworkers you’re saving paper by not printing out a copy for every person at the presentation. This is especially true for the people who are at the presentation but aren’t as involved in the project. Those people will likely just throw away the printed papers. By emailing the presentation, only those who really need a physical copy will print one out. Don’t feel like you need to print or make physical copies of documents unless it’s absolutely necessary. One of the worst things for the environment is to drink single-use bottled water. At a lot of companies there are refreshments available for both clients and employees, but plastic, single-use bottled water doesn’t have to be one of them. A great way to eliminate this waste but to still offer clean, filtered water is to have a Colorado Springs water delivery service bring water coolers to the office. Using filtered water coolers not only provides great tasting water, it means that there won’t be employees constantly throwing away plastic bottles and people can also choose how much water they want or need. Water delivery companies also take care of most of the inconvenience that comes with providing water for an office as well. 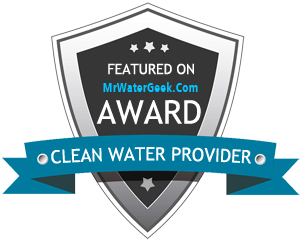 Using a bottle-less water purifier means offering great tasting water without any use of plastic bottles so you’ll never have to make a trip to the store or find a way to haul water in. Even using a water cooler that uses large bottles can be better for the environment and easier for your office because the water delivery service will haul the water in and help you keep track of how much water is used so you can do a better job of ordering the amount you need. That can even mean saving your company money. Paper isn’t always something you can avoid, but there are ways to make less of a negative impact on the environment when purchasing or using paper products. Using recycled paper, envelopes or cardboard, or buying products that have been created with eco-friendly methods, are small ways to make a smaller carbon footprint. Most materials in an office can be made from recycled materials, so that’s another good way to move forward. Buy pens or soap dispensers that are refillable instead of disposable ones, or put cloth towels in the bathrooms and break room instead of paper products. Biodegradable cleaning products are another way to go green. Finally, buy things in bulk to avoid more packaging waste. Obviously computers are an important tool for almost every company, but they are also huge energy zappers. Luckily, even computers have ways to save energy. Check the settings on your computer and other devices and make sure they’re on a low-energy setting. Shut down the computer when you leave for the day or put the computer on standby when you head to lunch. These are small, easy changes that won’t inconvenience you, but will make a big difference in the amount of energy used. If you want to really make a difference at the workplace then unplug any lamps or devices in your office that you’re not using. Use an on/off power strip to turn off everything at once at the end of the day, and turn off the lights when you leave a room and it is empty. Most ways to stop sucking up power are easy, it just takes a few moments of extra thought to switch devices off or unplug them completely. This is pretty self explanatory but it sometimes is difficult to remember to do, especially when you’re in a big rush. Most disposal companies in Colorado Springs are willing to bring recycle bins to homes and offices, so if your place of work doesn’t already have one that can change. The difference you can make comes once those bins are in place. Don’t just toss paper into your desk waste basket. Take it to the paper bin or make a pile of papers to take over at the end of the day. Once you finish drinking a beverage out of a can then put it in a bin rather than tossing it in the closest trash can. It shouldn’t be too difficult to use the bins once they’re there if you’re conscious of them. How often do you use plastic zip top bags, brown paper lunch sacks, paper plates or even beverages in disposable containers? It’s very likely the answer to that is every day, but it doesn’t have to be. Using reusable containers or lunch boxes to bring your food to work can not only save the environment, but save you money too. Invest in a disposable water bottle to fill at your company’s water cooler, or buy a plastic plate and set of eating utensils meant specifically for the office. Eating a lunch or snack at work is almost unavoidable, so over time this small change could make a big impact. Going green at work doesn’t have to be difficult. Using a Colorado Springs water delivery company can lessen the amount of bottled water used, buying recycled paper means killing less trees and unplugging devices will save energy. Putting small thought into these everyday activities can make a big difference if your entire office jumps on board.